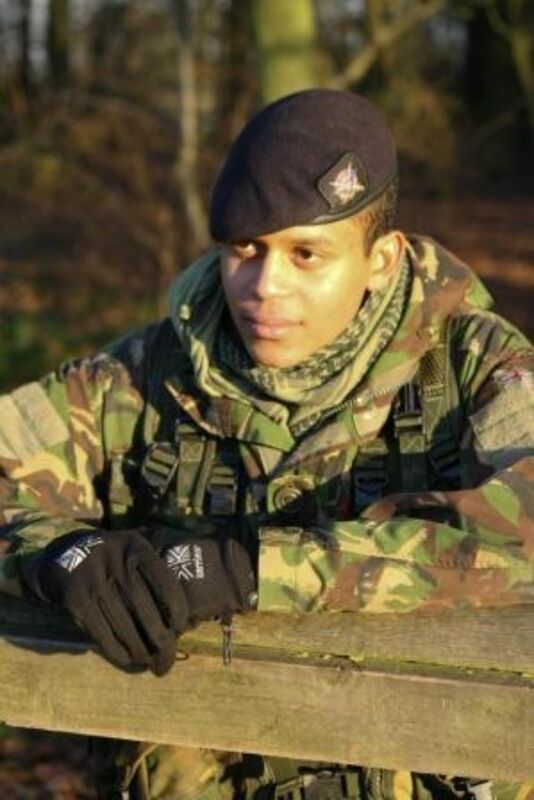 Roberto Thomas is an ex Cadet from the Royston Detachment, of Beds & Herts Army Cadet Force. He’s 18 and currently studying for his A levels in Maths, Design & Tech and PE. He likes to play squash, cricket, climbing and is captain of the cross country team. Roberto might sound like one of your friends from school but he’s not. 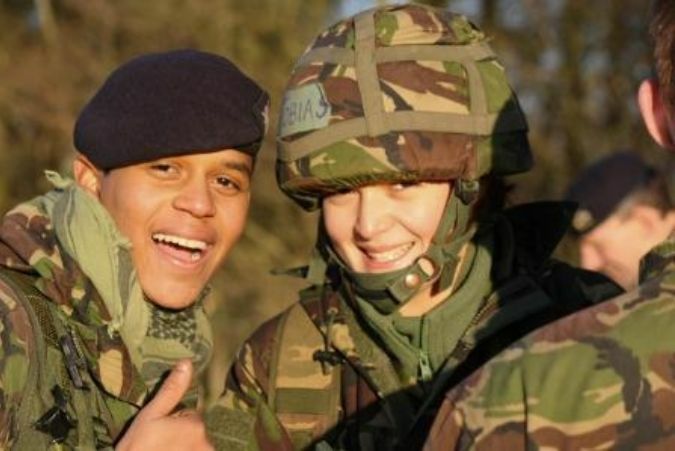 Roberto is an Army student at one of the best Sixth Form Colleges in the UK – Welbeck Defence Sixth Form College. Welbeck is a purpose-built learning institute, with on-site, en-suite accommodation, which utilises some of the country’s finest state-of-the-art facilities and equipment. Many youngsters do not know what kind of career they want in later life, but not Roberto. He has known for a long time exactly what he wants to be and his education is providing him with the precise skill set for him to excel in his chosen career. Welbeck is the only sixth form college of its kind in the UK. In 2011 98% of its students were offered a University place, which is quite an achievement, given the level of competition. Overall the College achieved a 100% pass rate with 63% of those achieving A* to B. This is impressive considering every student at the College has to study Maths A level and 75% take Physics. "I want to travel around the world, and in the army it’s possible", comments Roberto. He has seen a little of the world already skiing in Austria and diving in Egypt. His decision to join the army is based on lifestyle, and "opportunities", says Roberto. Last summer he flew to Germany to visit the Royal Engineers on a trip to get a taste of what life could be like in a few years. Roberto is planning to become an officer after university and following a year of training at The Royal Military Academy Sandhurst. He is sponsored by the Royal Signals and determined he will join them on completion of his training. Roberto’s family has backed his choice of career from the very start. "My mum said she was behind me if this is what I wanted to do", he says. His family are already familiar with the army with his eldest of two brothers in the Royal Signals and the other is a combat medic in the Royal Army Medical Corps. Most of the students go on to enter the Defence Technical Undergraduate Scheme and receive an annual bursary of £4000 whilst at university. On graduating they start their new careers by attending officer training at Dartmouth, Sandhurst or Cranwell or enter the MOD graduate programme. The College selects approximately 170 students each year and all of them join in the first year of their A-Level studies. Most students, approximately 90%, are funded by the Ministry of Defence via their sponsoring service, ie. Royal Navy, Army, Royal Air Force or Civil Service Defence Engineering and Science Group (DESG). The College offers a unique programme of personal, physical and intellectual development which provides students with a rounded education specifically designed to meet the needs of today’s modern technical Armed Forces. The programme for MOD students does not end after a two-year A-level programme: the four Services continue to monitor and support students through university and on to professional training with their respective Armed Service or within the Ministry of Defence Civil Service. At Welbeck students face a variety of intellectual and physical challenges that will test their abilities and stretch their mind. Students will pursue sports, travel overseas and experience adventurous activities that build their self-confidence and develop their leadership potential. The team of trained and experienced staff - both civilian and military - is always available to assist, encourage and support, providing every chance to make the best of the wonderful opportunities Welbeck offers. For the September 2013 intake, the application deadline is 30th April.